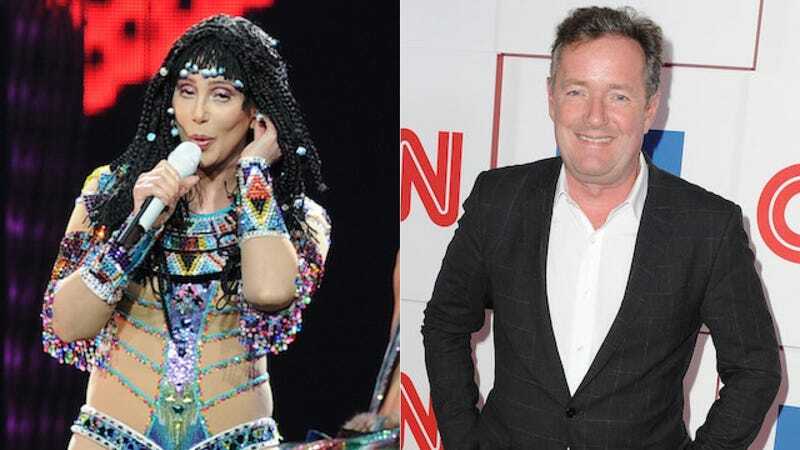 Yesterday, famed blowhard Piers Morgan—the biggest threat to U.S./British relations since the War of 1812—took to Twitter to express his discontent about pop stars of a certain age (namely Madonna) wearing revealing costumes. But what about Cher? Even Cher, hissed back Morgan. And having been summoned, the Goddess of Pop entered the conversation herself. It began, as with all terrible things, with an assist from Perez Hilton. Perez then dragged Cher into the fray. Luckily, she was prepared. Cher wins. Crawl back to your marsh-den, Piers. If you as a single person have ever had the experience of a non-single person telling you, apropos to nothing, that "you'll find someone," you can now find solace in the experiences of your friend Taylor Swift. It began with Taylor tweeting, "Is it just me or is Lady Gaga, like, fully LIVING right now?!? #goals"
The back-and-forth between Mo'Nique, who says she was blackballed by Hollywood after her 2010 Oscar win, and Lee Daniels, who counters that no one wants to work with Mo'Nique because she's difficult, Mo'Nique is now claiming that Daniels himself is the source of the blackballing.